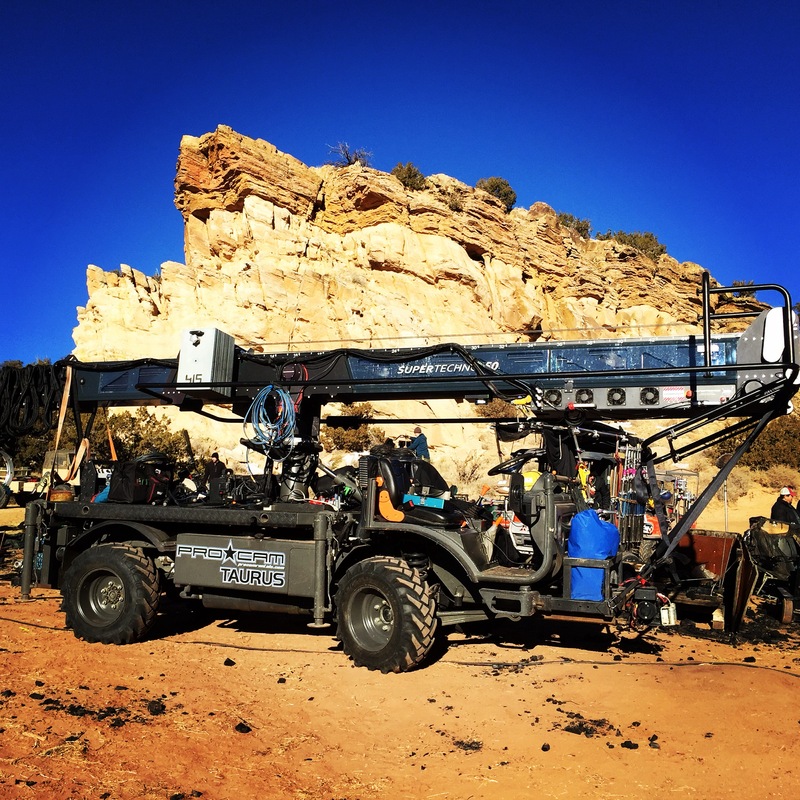 The Taurus Crane Positioning Bases are designed to carry large camera cranes in their fully built form to desired off road locations enabling crews to set up cranes in positions that a ground-based crane could not be positioned or used in. They can also be repositioned with ease. 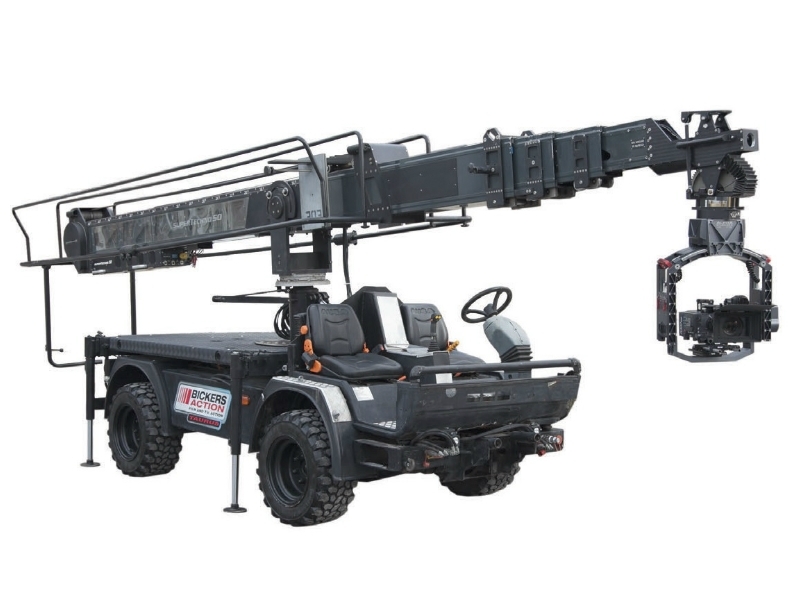 They have a large payload which allows them to carry most common camera cranes i.e. 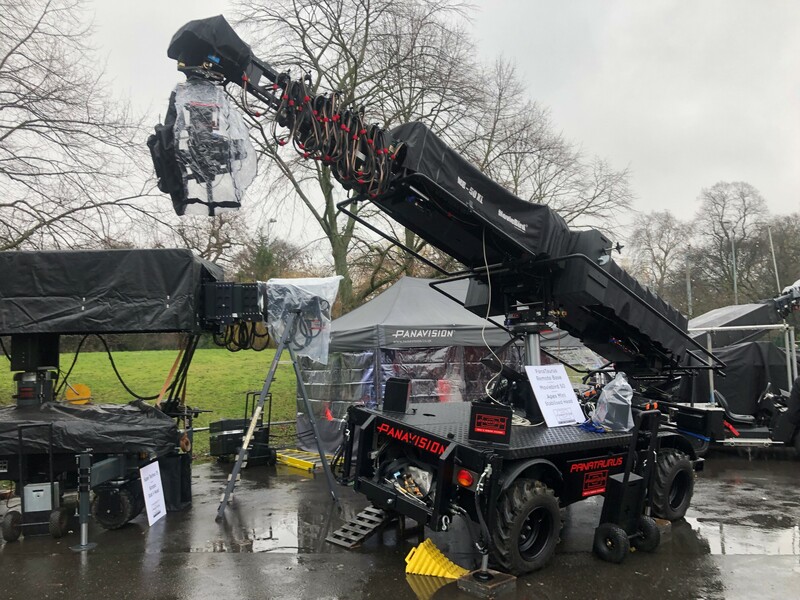 30ft, 50ft Techno camera cranes and Moviebird Cranes, which are well within their design weight which is always a consideration regarding Health and Safety. 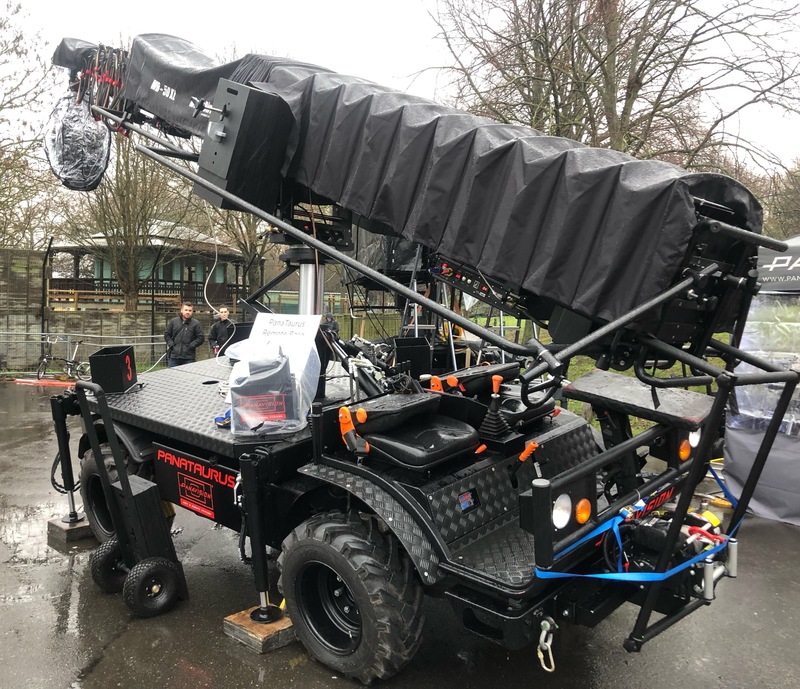 Constant Four-Wheel Drive with large utility Tractor Tyres, 4x hydraulic levelling / stabilising jacks to stabilise and level the vehicle base and a further all directional Gimble to level the column, which also has 600m of height adjustment. 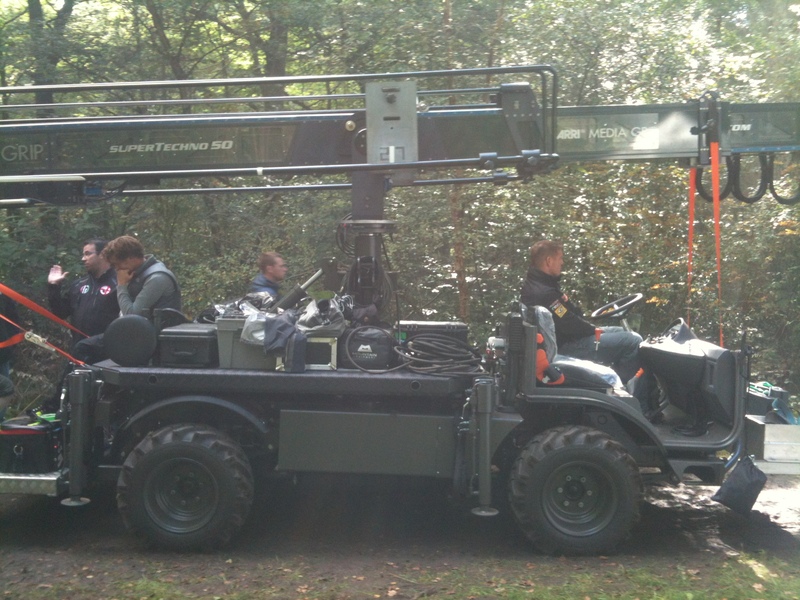 Their Hydraulics are manual lever controlled, a simple fail proof system. 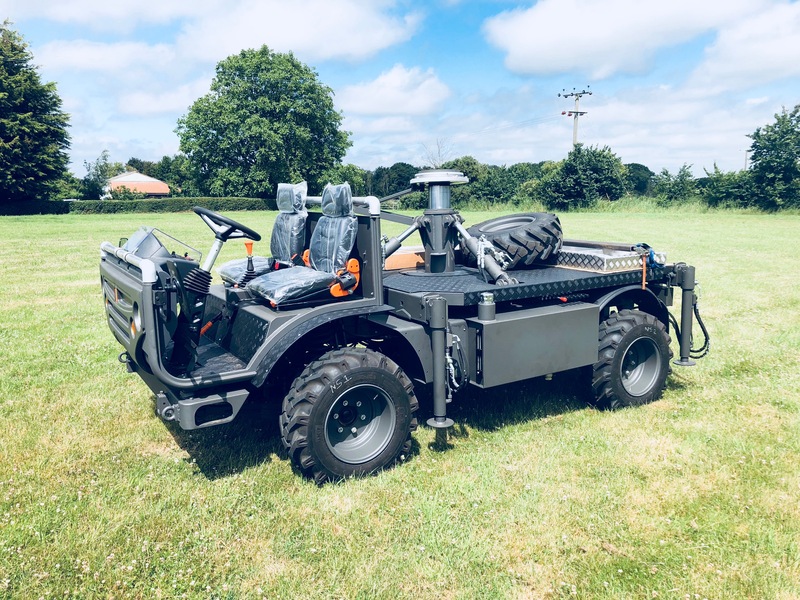 They have Constant Hydraulic power which means that they can run the hydraulic system whilst driving, they can level as we travel over rough terrain. 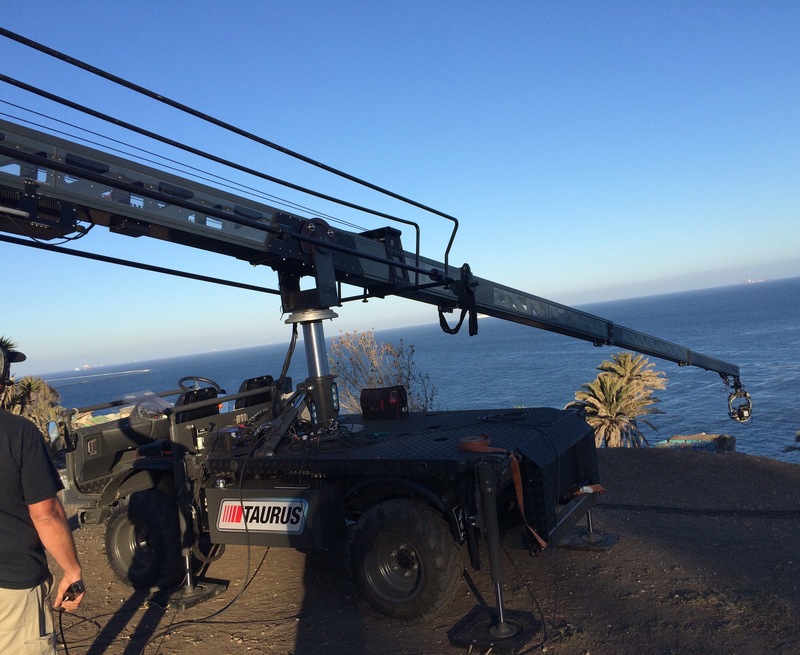 The Tauruses are built by Bickers, there is 14 of them in different locations around the world, current users Whites in Canada, Pro Cam in the USA, Monster Remotes in New York, Panavision UK and Celtic Grips Ireland. 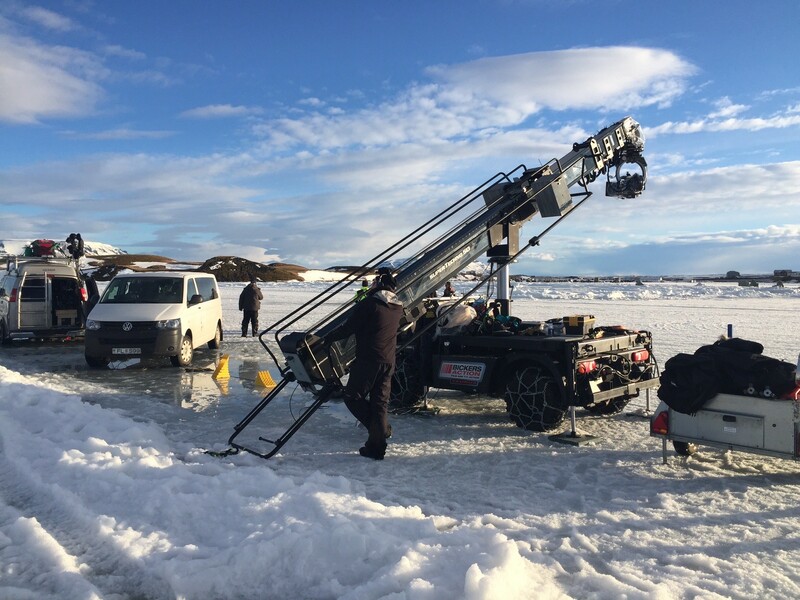 One of Them is Based at Bickers available to any rental house.